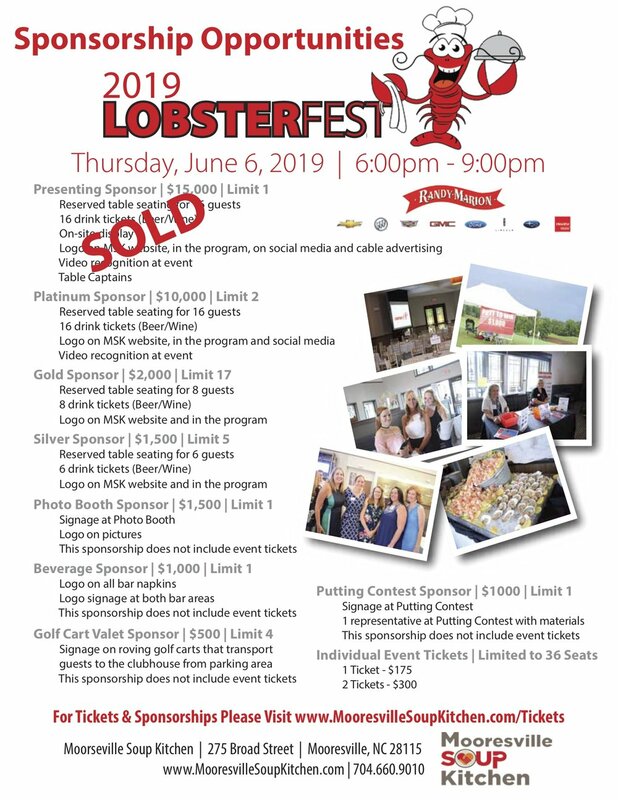 Join us for LobsterFest 2019! Celebrate Mooresville Soup Kitchen’s mission with us on a beautiful summer evening, Thursday, June 6th, from 6-9 p.m., at the Mooresville Golf Course On The Nines Bistro! Enjoy delicious food, a lovely indoor/outdoor setting, and plenty of fun. This annual event is a very significant source of support for our mission of feeding and loving our community. Bring your co-workers, significant others, family and friends to enjoy a great evening to benefit MSK and our community.